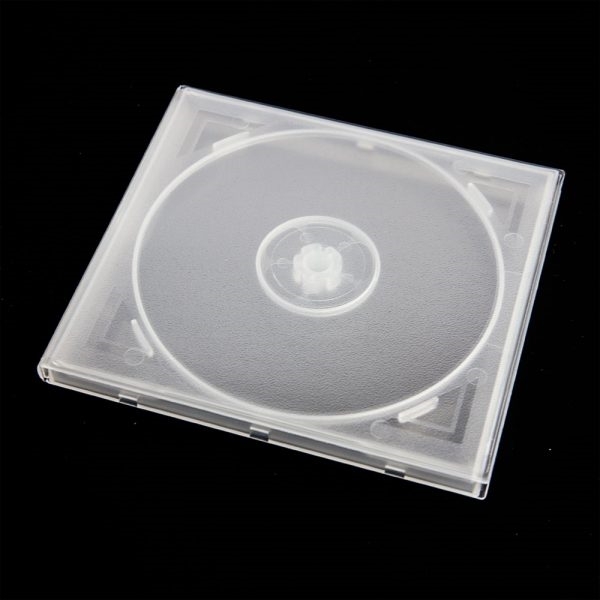 This durable hard plastic CD/DVD case is ideal to protect your discs. They come with a clear overlay that allows you to insert cover artwork. A locking hub holds the disc securely by its center hole. This case fits all standard CD media and gaming discs also. Cases hold 1 disc.